DiabetesMine is sponsoring a contest asking for people with diabetes to tell everyone about their biggest needs in a 2-3 minute video. 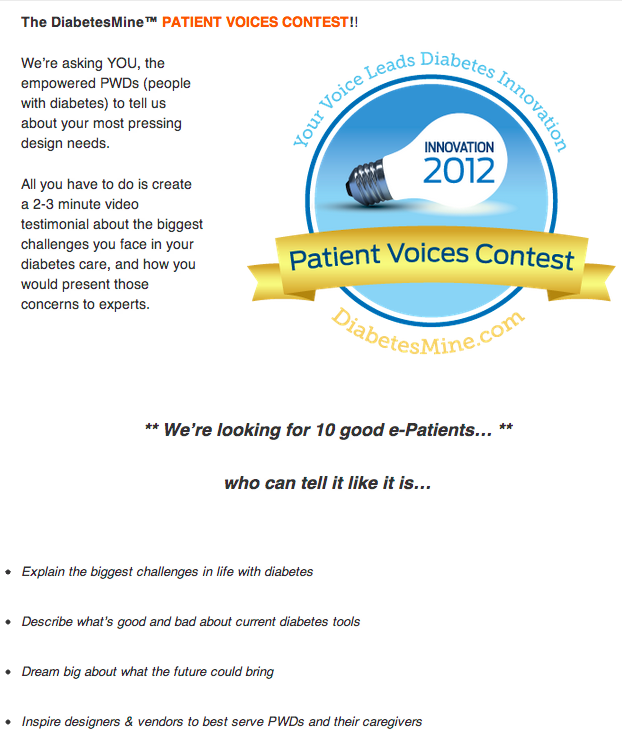 Contest details at: http://www.diabetesmine.com/2012/05/announcing-the-2012-diabetesmine-patient-voices-innovation-contest.html. Still not available in US (though finally FDA approved), but now available in the UK, is the iBGStar from Sanofi. This device is similar in spirit to the Glooko iPhone connector dongle that I recently wrote about here. This is a very exciting device because it will allow patients to electronically capture their blood sugars without any extra work. No more transcribing numbers into a logbook, either a paper one or even a digital logbook. 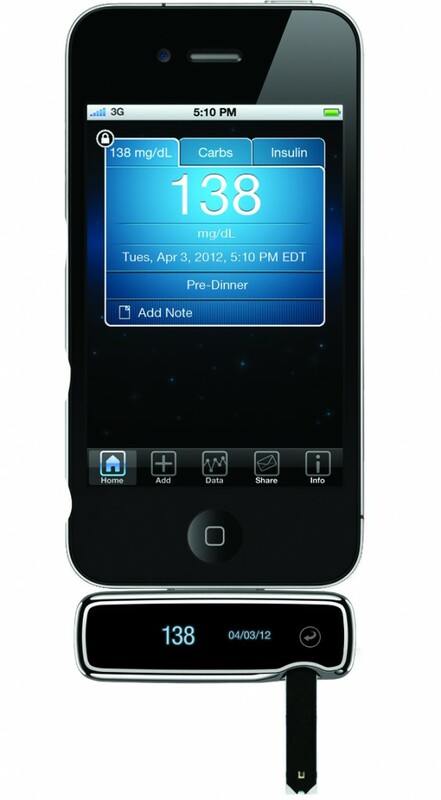 As soon as you check your blood sugar, the number is already captured into a digital logbook with no extra work. This device clearly has an advantage over the Glooko solution in that the data is collected in real-time, rather than needing a connection and download the way the Glooko does. The introduction of real-time data upload brings the possibility of shorter and faster feedback loops between patient and clinician. There is also no extra hardware to potentially lose, since the extra hardware is your glucometer. Glooko’s advantage is that it works with many existing glucose meters, so you can get the one covered by your insurance, and still easily digitize the data. So, they each bring a unique new capability to glucose monitoring that should be welcome.